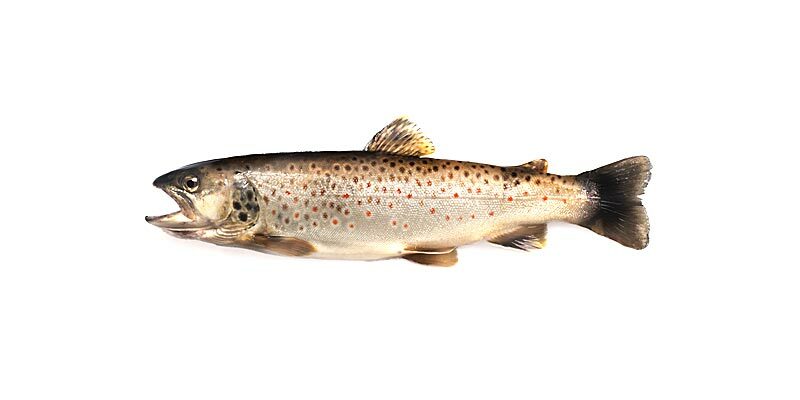 Farmed in the clear waters of a natural spring, Label Rouge springwater trout is characterised by its succulent flesh melting in the mouth, with a delicate white or pink colour and a slight nutty flavour. 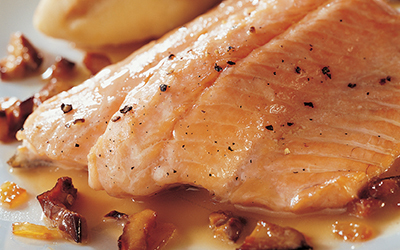 Rich in Omega 3 fatty acids Label Rouge springwater trout is a delicious, healthy treat. The farm sites of Label Rouge springwater trout are in the south west of France close beside springs which are famous for the purity and mineral quality of their water. 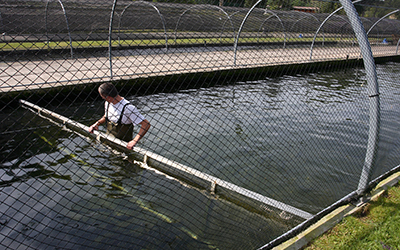 Control of fish density in the sites, oxygen levels, the fast flowing water, its temperature maintained between 4 and 16 degrees handling methods for the fish at all life stages up to slaughter provide a stress free lifestyle which contributes to the quality of their flesh. 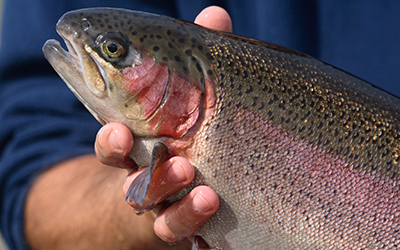 To retain all the flavour and nutritional properties Label Rouge springwater trout are fed a diet consisting of marine origin products (at least 60%), vegetables, vitamins and minerals. After slaughter, Label Rouge springwater trout is sold whole (portion size between 200 and 400g or large sizes over 2kg), in fillets or portions. Fish preparation, portioning and grading are carried out in optimum conditions of temperature and hygiene in a very short space of time - 36 hours maximum after harvesting. These fish, with superior quality guaranteed, are available on your store shelves! I am both a producer and a processor in the south-west. The original idea was to promote the value of the trout we produced in a perfect location with a high quality water source. We needed a good few years to obtain Label Rouge for springwater trout in 2006. I'm proud to see our Label Rouge trout displayed on the counter in all their glory. This was our goal : to help the consumer find his way through the jungle of products on offer. 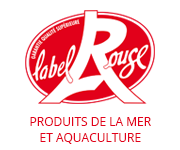 The Label Rouge which recognises the high standards of the association's team and also acknowledges a local region. An identity which can be proudly claimed.